Coffee shops and cafes require the highest quality coffee and need passionate experienced baristas. This is achieved by passion, training and support. 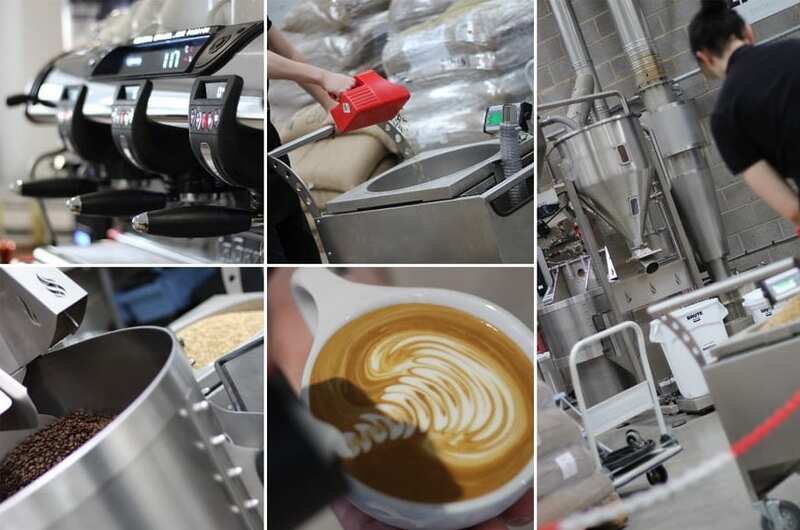 We believe that as a coffee roaster and supplier we can help you with serving stunning coffees all day long. We supply wholesale coffee to hundreds of coffee shops all over the UK and work with small independents as well as larger coffee operations. Delis, restaurants, garden centers, hotels, sandwich bars all enjoy our coffee and we work hard to offer a personal yet professional friendly service. Our absolute focus is on the supply of our coffee wholesale to the coffee world in the UK. We very much enjoy helping businesses serve delicious coffee and do our best to ensure we deliver a top notch service every day. As a coffee roaster we roast every day throughout the week using the best coffee roaster on the market. More than anything, we are a friendly passionate team who love coffee and enjoy looking after you! Limini have helped us from the very beginning and all the way to our very own coffee shop. No matter what problem we have had or how small an issue, limini talked us through it and made us feel more confident in ourselves about handling the task. Their knowledge is very refreshing and they are very enthusiastic and passionate about their coffee. Besides absolutely delicious coffee we also offer a fantastic private label service for you with no additional charge, a free label design service and without any Limini Coffee branding so totally yours! You can expect training and support by our experienced and friendly staff. Our dedicated training centre is there for you to further your skills at any time. We are only a phone call away at any time and love to help. Your coffee is always fresh so you can be sure to receive the finest and most consistent coffees from us. Because we are a coffee roaster, we are able to deliver promptly and use quality packaging to keep your coffee fresh. Our espresso machines are built to work and to deliver consistent high quality coffee all day long. Back up is taken care of with a network of engineers. The grind on demand grinders ensure you will be serving the freshest and consistent coffees all day long and at the same time making life easier for your baristas. We have helped many people with the start of their coffee shops and even run a dedicated course on starting a coffee shop. Our work with existing shops leads to customer satisfaction, more compliments and ultimately higher coffee sales. We would like to work with people who are interested in serving beautiful coffee and who are looking to improve on their coffee sales. If you would like to buy directly from a coffee roaster with a true passion then we think we can help. Besides the initial start up training we can offer you a range of equipment such as espresso machines, grinders, filter machines etc. We have our own range of freshly roasted coffee which is all delivered promptly. Limini Coffee can help you with the layout of your coffee shop as well and advise you on earnings and costings. And of course you can come over to see us anytime and meet for a coffee and discuss in more detail how we can help you. Our baristas have worked on most makes and models of espresso machines, grinders and filter brewers. We have selected a range of espresso machines that suit any budget and outlet. Limini Coffee is one of the main agents for La Spaziale machines and we can therefore offer great prices and of course we are able to supply any La Spaziale machine that is on the market. I attended the Limini course almost 2 years ago and my wife and I opened our premises about 9 months later. 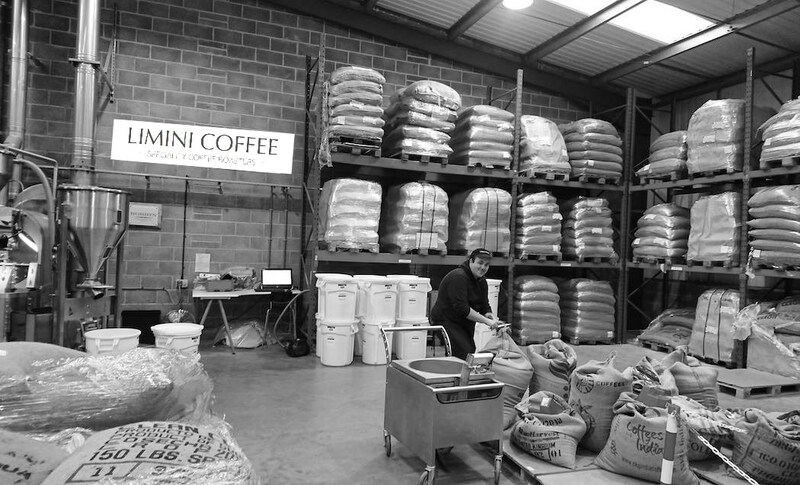 We of course use Limini as our supplier and even though they are practically the other end of the country the service is absolutely faultless and the coffee exceptional. You receive free ongoing training with us as a wholesale coffee customer. You and your staff benefit from free training at our dedicated training centre. Training is extremely important and we will make sure that you will understand coffee and feel confident behind an espresso machine and grinder. Many people can offer training but we like to think that we can truly enhance your coffee experience with our training programs. 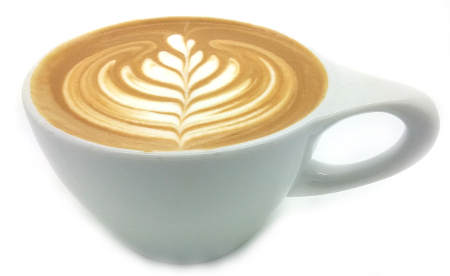 We have been teaching people about coffee for over 10 years now and teach every day! As a coffee roaster we roast our coffee with a state of the art computerised profile system to achieve maximum flavour profiles. 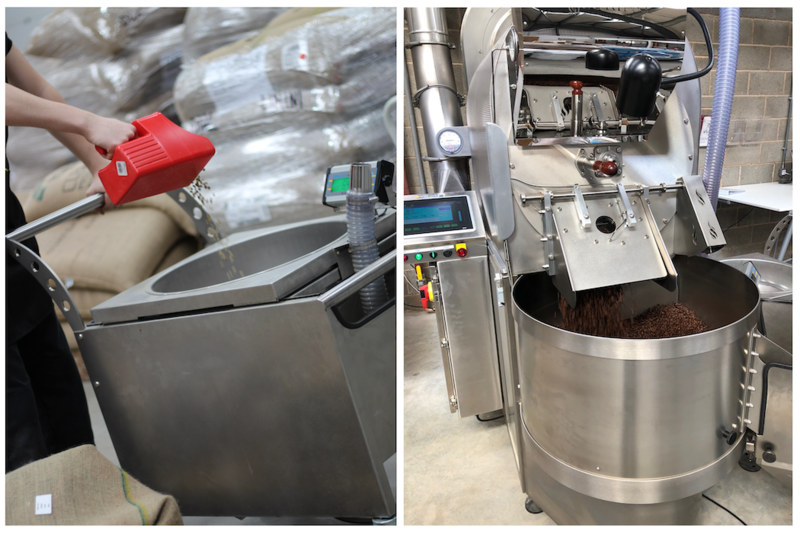 Our roaster is connected to a computer which ensures the coffee is roasted according to our profile. Each coffee and blend has its own profile and we work hard to develop the perfect profile of each blend. All coffee is roasted fresh and labeled with a roasting date. Please contact us and tell us what you are looking for. We would love to hear from you about your business. You can also fill out the form below and request our wholesale brochure. Restaurants and hotels often need solutions that are different than coffee shops and cafes. Yet they still look for the finest quality. As a coffee supplier we look after many restaurants and hotels and ensure that the coffee arrives fresh and on time. Espresso coffee machines, filter coffee machines and beautiful coffee machines are available from us. We will ensure that your equipment delivers the best coffee for your customers. We have our own brand of speciality coffee which we roast every day. Fresh, delicious, smooth, sweet and flavoursome coffees. Only the finest Arabica beans are good enough and our coffee is ethically sourced. 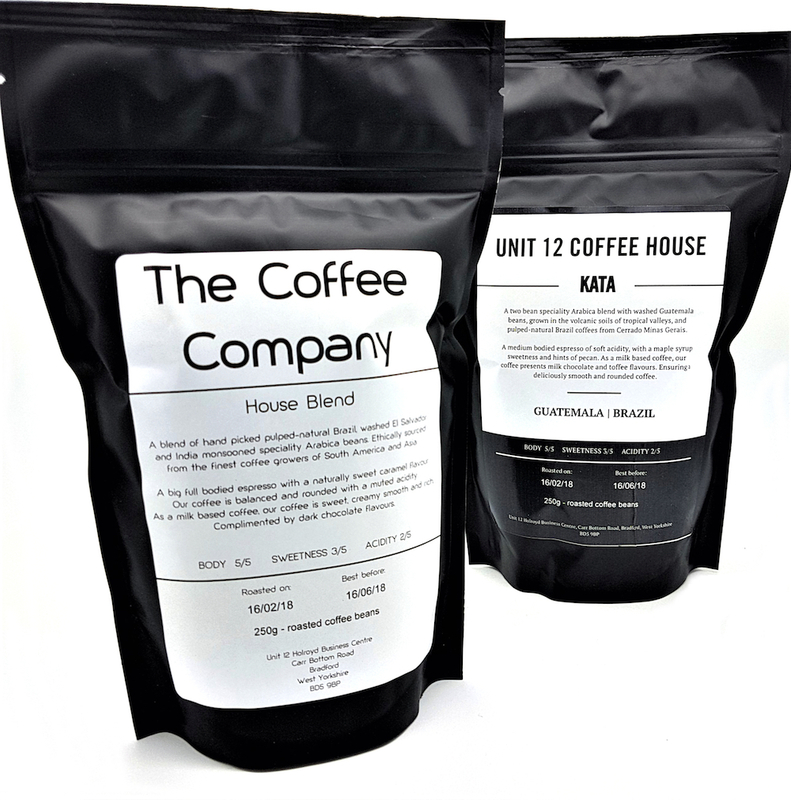 You can also order a wide range of single origin and single estate coffee from us. We have developed many espresso blends for people and if this is something that you would be interested in then please do let us know. A free service that we offer is private labeling for our coffee blends. You can have your own label giving you a strong advantage over your competitors. We design many labels for our customers and can help with your own branded product whilst at the same time knowing that you are serving a popular successful coffee. We offer a free service for our wholesale customers where we can call you every week to see if you need anything. You pick the date, we will call you. We also offer standing orders for you. You simply let us know what you would like to receive every week and we will do it all for you. We also offer a direct debit service for all our customers. We provide ongoing support for free for our wholesale customers. This means that you can call us or email us at any time with questions and we are here to help you out. Our wholesale customers also receive free training at Limini Coffee. Send your staff to us and we will send them back enthusiastic and full of knowledge about coffee. You will also have access to our support pages which have training videos and a comprehensive barista training manual. The support is important and we think that it comes down to who you speak to. We care about our customers and will do our best to look after you. We also have hands-on experience in running coffee shops and know what we are talking about when it comes to coffee (and how to drink it!). We hope this helps. Please do get in touch with us for a chat and tell us about your business and passion! The coffee is extremely fresh when it arrives. Youri has been an excellent trainer.The aroma in our coffee house is wonderful. People comment on the aroma of the coffee. I love coming in the morning and enjoy the smell of the coffee. Lots of people love our coffee and come back time and time again! We would love to discuss your business and how we can best help you to provide consistently delicious coffee in your coffee shop. Whether you are looking for something new, adding to your current offering or wanting to create your own label coffee, we are here to help. We would love to have you over for a meeting with us here at our dedicated training centre in West Yorkshire. We will drink lots of coffee together and discuss what you are looking for and how we can best help you. 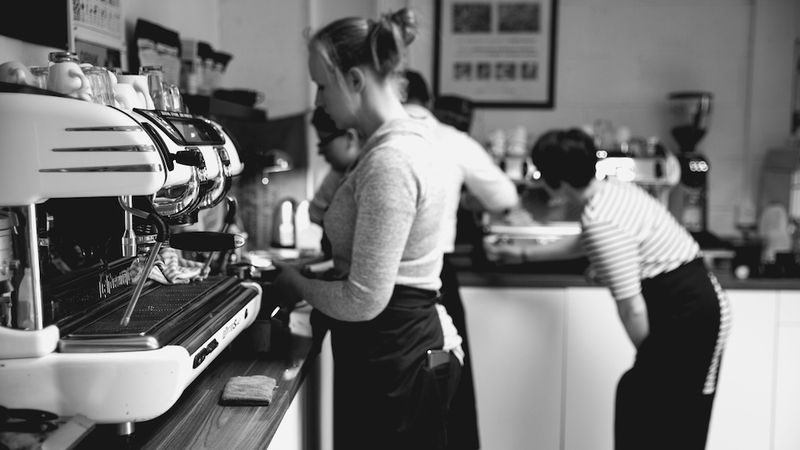 Whether it be training, coffee supplies or both, we would love to meet with you. We are aware of how busy running a coffee shop can keep you, so if coming to us is not ideal for you, we would be more than happy to come to you. We will bring with us samples of our blends and ascertain which one works best for you. This is a great way of meeting us and seeing what we are all about but it also allows us to come meet you and your shop in person. 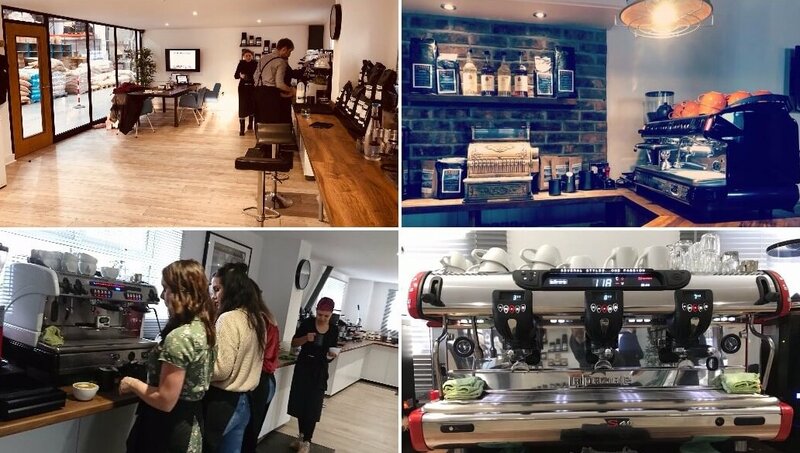 We are happy to visit any businesses within 100 miles radius of our training centre free of charge and discuss how we can help you serve the most delicious coffee. Why not come and see us or organise a meeting with us. We would love to meet with you personally. We can have a coffee together, or LOTS of coffees together. It would be our absolute pleasure to meet with you and share our passion for coffee and customer service.